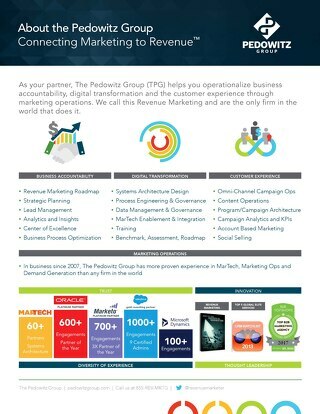 As one of the original Salesforce partners, The Pedowitz Group is uniquely prepared to assist you in operationalizing your customer journey with Salesforce Marketing Cloud. We understand the intricacies of optimizing customer experiences at each stage of the customer journey, and we’re ready to help you operationalize it in a Salesforce environment. 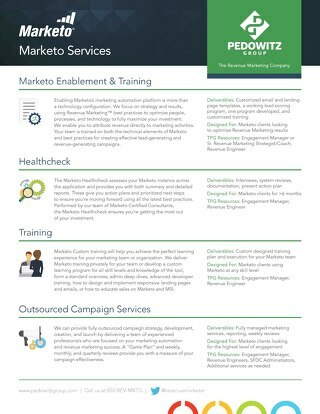 Our strategic and technical consulting services are designed to help you get the right message in front of the right customers at the right time. 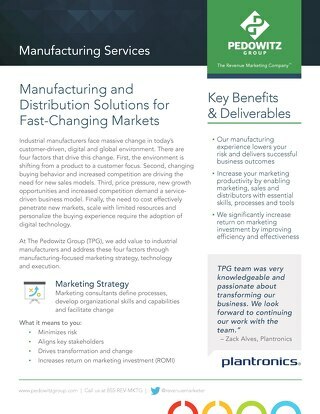 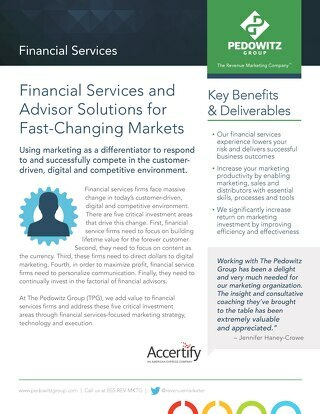 At The Pedowitz Group (TPG), we add value to Financial Services and address these four factors through manufacturing-focused marketing strategy, technology and execution. 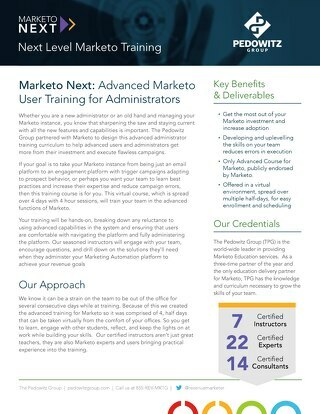 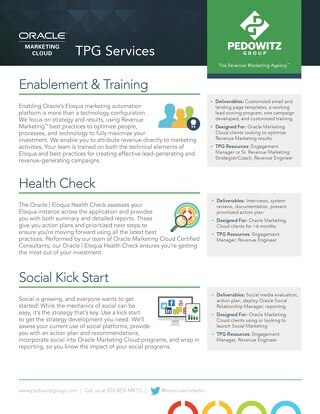 If you’re looking for a partner for Oracle Marketing Cloud, The Pedowitz Group has you covered from system audits, remediation, data audits, platform setup and enablements to social and an analytics. 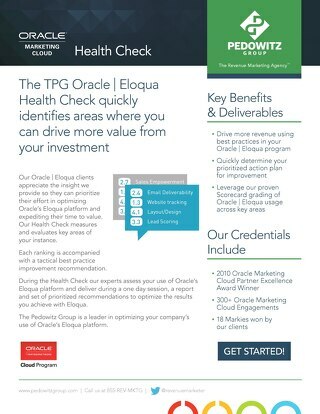 Partner with The Pedowitz Group to quickly identify areas where you can drive more value from your investment in Oracle Marketing Cloud through our comprehensive systems Health Check. 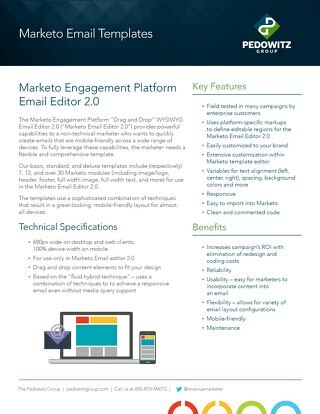 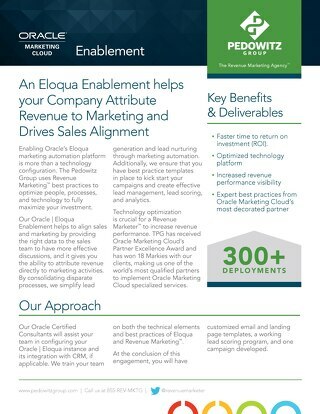 With more than 300 enablements of Oracle Marketing Cloud, The Pedowitz Group is your go-to partner to ensure you do it right the first time and optimize your return on investment. 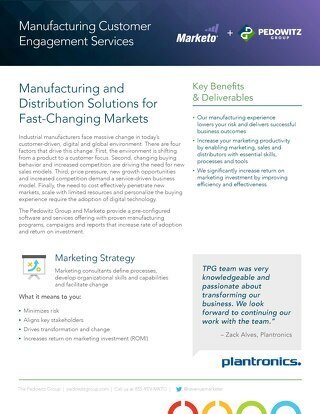 The customer journey in manufacturing has changed dramatically. 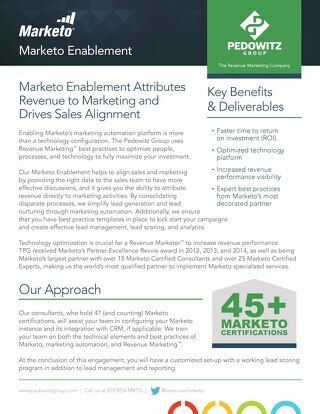 Buyers are more connected than ever before with 24/7 access to information. 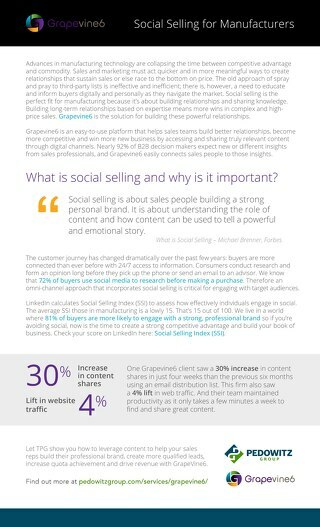 See how social selling creates leads and meets quotas. 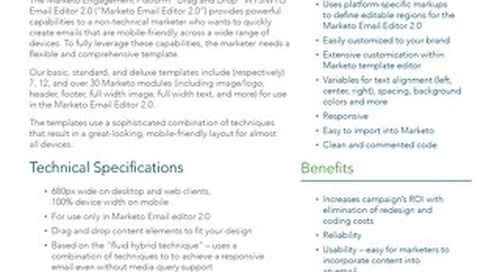 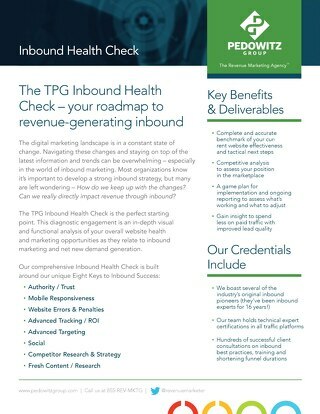 Our Inbound Health Check is an in-depth visual and functional analysis of your overall website health and marketing opportunities as they relate to inbound marketing and net new demand generation.